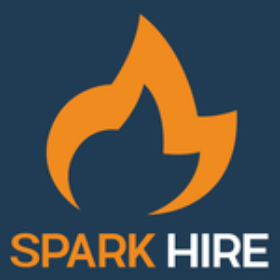 Instantly reach your customer's “constant companion” (their cell phone). 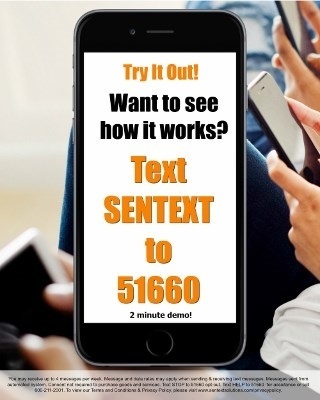 Text opt-in (mobile messaging) with SENTEXT is an amazing new way to get existing customers back for extra monthly visits and bring in new customers. 99% of text messages get read, most in 3 to 5 minutes. SENTEXT has 8 years of experience with tens of thousands of satisfied customers and have earned a 98% customer retention rate. Their merchants broadcast 10 million messages to 4 million of their customers monthly with less than 1% opting out. (1) Brings existing customers back in extra times during the month. (2) Brings new customers in during the month. It’s as simple as PROMOTE, ENGAGE, & RESPOND. You’ll PROMOTE your text opt-in (mobile messaging) program throughout your business and on all your other media assets. Your customers and future customers will see your VIP mobile club signage that we design, pull out their cell phones and opt-into your program. After that happens you’re in compliance and will ENGAGE your members (broadcast messages). The fun part is when your mobile club members RESPOND = ($$$$). It’s really that simple. Let’s get you started TODAY! !